Pissaladière is a cheese-free pizza which is often served up in the south of France. 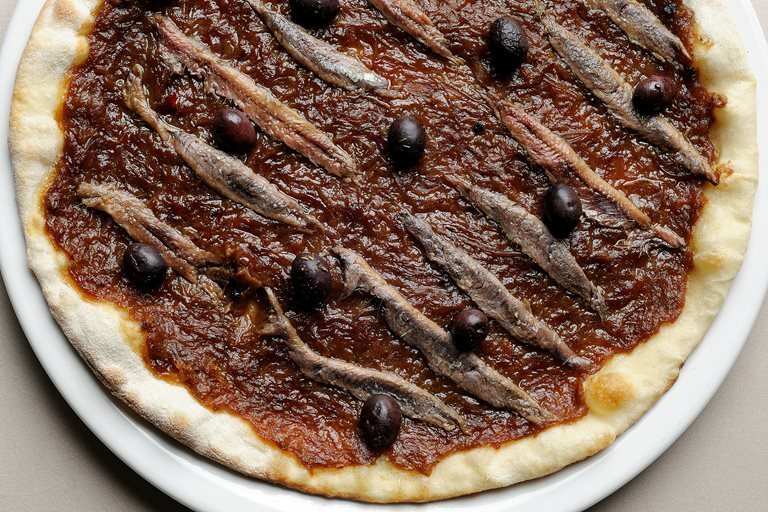 Pascal Aussignac tops his with anchovies, olives and caramelised onions. To begin the pissaladière, start with the topping. Peel, cut in half and slice the onions roughly.